I used essential elements books in school for my sxophone. I've read the essential elements 2000 for violin is a great way to go for adults instead of the Suzuki books. I went ahead and ordered on to the tune of 9 bucks brand new. Anyone else used these? What are your thoughts? That's what I'm using and I love these books. I also bought Suzuki but I keep following the EE books. The other tool I've found so extremely helpful and fun, in case you're interested and have the budget for it, is called SmartMusic. There's an annual subscription fee and you then have access to a massive database of songs including these method books. You play to a backing track and it records and gives you a score and instant feedback on intonation and rhythm. Since I got this at the start I can't imagine what my first two months of playing would have been like without it. It really amped up the fun and helps me a lot. @CJ121 Do you like Bluegrass? Brian Wicklund has a couple of great books with cds. I originally found the books at my public library. I love listening to bluegrass, but am centered on classical music for the violin. I can't imagine that one day I won't branch out and learn a tune or three from different genres though. Not wanting to start a second topic, how the heck do you store a bow in the typical violin cases that come with cheap violins? My bow seems to fall down near the frog and only stay on the rack at the other end. Is this normal? The Essential Elements books are really good, I have book 1 and 2 and try to follow them during exercises and structured practices when I actually play from a book that is lol. Another one that I really like is Celtic Fiddling Made Easy, it's not a 'method book' but has slower celtic songs in it that you can learn to play over time. There's also some that are a bit faster once you progress more. I Have to 2nd @Shell on SmartMusic, it's an incredible program for keeping on track with intonation and timing plus having a great background to play along with really helps keep motivated at least to me. After I've learned a song I'll usually pop open the program and open up the EE book within it and have the program record me to see how close I am with my playing. As far as your bow is concerned, normally where the bow goes in to the case there is a clip near the frog end that you can turn to lock it in place. Does yours not have that? I use the Essential Ellements 2000 books right now. I'm only on book 1 but they are amazing! I really really enjoy learning with them. The progression in the books is at a good pace for me. I also augment it with stuff from fiddler man as well as just other sheet music so i don't get to stuck, but I'm an easily bored kinda person so i have to keep it interesting. @Shell that program sounds awesome! I'm definably gonna have to try it out! thanks for sharing. @CJ121 When I played flute I also was more into playing classical. There is something about the violin that has brought out the Bluegrass in me. I also have Suzuki Book I with cd AND Teach who I visit every 2 months. @FiddleDetroit When I first started playing and borrowed a violin I was having the same problem and the case did have a clip to turn. Now I have an old case now with a sort of spring loaded clamp. Then I found out, I was loosening my bow way too much!! Does Smartmusic work if you don't have a teacher using it? Can you use it as a self-taught learner if you used the books included in the package? @spinningwoman You can absolutely self-teach with Smart music. In fact I wouldn't want to self teach without it personally Some teachers do use it as a tool and put on classes using smartmusic, but it's not necessary. All of the tools are there for you as a subscriber and the instant feedback on intonation and rhythm. This book series is great in my opinion. I actually learned the trombone on essential elements (back in elementary school) which is an instrument that I have played professionally with. The great thing about the series is that it reminds you of good playing habits, or pitfalls that may tend happen on particular types of music. Furthermore the pace is nice, slow and easy while still giving you music that is also enjoyable to play on top of the exercises. Lastly, it gives you rhythm exercises here and there, and teaches you necessary music theory as you go instead of just assuming you know it already. If nothing else, it is a great start for the beginner. I've been using the Essential Elements books and really like them. The Fiddlerman videos are awesome as well. The case I just got with my daughter's violin was like this -- or rather, there was an indentation where there used to be a little clip with a screw, but both were long gone. The previous users said they just kept a towel over the violin so that the bow wouldn't bang up against the violin. We did this with a washcloth (wasn't really room for much more than that). However, we happened to bring the violin (and hence the case) in to a local music shop where the owner does a lot of various instrument repairs and while there I asked him what he thought about this problem. He took it in back and made up a clip for it! It's basically the end of a popsicle stick (but the wider kind, like a tongue depressor), about an inch or so long, with the rough cut edge sanded smooth, then he drilled a hole in for the screw through the stick and into the case, so now there is a "clip" that can rotate to hold the frog end of the bow in place. How cool is that?! I was so excited -- maybe that sounds pathetic, but what took him literally like 2-3 minutes is beyond my ability, lol. So maybe you could do something like that, or if not you then maybe someone you know? But the little cloth thing does work too. On the original topic, I'm glad to hear about the EE book because I had just picked it up before reading this. And I didn't know about the SmartMusic site, but that sounds amazing. Thanks for sharing! I too am using EE. Bought the violin in January and just ran 1st position scales for three weeks trying to learn all the bad habits I could (ha). Then I received the books (1 and 2) and started learning. I learn one page a day, but I start from the beginning and replay all the right side pages, then I play "over the rainbow" and "Godfather". Can a person wear out the strings in one month? Last week they sounded good, today they sounded terrible. Notice I said they sounded terrible,,,,obviously it can't be ME that's causing it. I cleaned them with alcohol and rosined the bow, but nothing seems to help. I'm waiting on some better strings and will put them on when they arrive, but I still wonder, can you wear out a set that quickly? @MrYikes If the strings are the originals that came with your violin they are usually cheap factory strings that i would say can definitely be worn out with in a month if you are playing a lot! once you invest in some better strings it should take longer for them to wear out depending on the brand you choose. Yeah, I bought 4 packs of cecilio strings when I bought the violin thinking that I'd wear out whatever, but they've held up with my tormenting them,,much better than my wife has held up. I don't want to change strings right now because of my mistreatment of the sound post,,,seems I sanded a little when none was needed so I have a difficult time getting it to remain standing. I have more coming, so I'll wait to get them in hand and correct the post. One good thing I did was buy 10 bridges, I have and will learn a lot from playing with them. 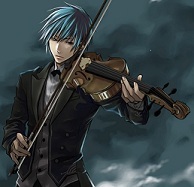 I do have better strings coming and another violin. That violin will get treated with the good strings while this one will get hand me downs or whatever is on sale. I received a new bow yesterday. It was the third one they had to ship because the bows arrived here broken. The bows were packed with a piece of cardboard folded over the bow. That's it. Nothing else. This final one was bent sideways into a "c" shape, but at least it wasn't broken. It took about 30 minutes to "unbend" it. It does play better than the original, it's also lighter. I couldn't take it any longer,,had to change strings. I did it very carefully and slowly and got it done without knocking over the sound post. They sound a lot better even though they are cecillio strings. I have found two things that help me with the EE books. Stick it notes and spring clothes pins. The notes allow me to tell myself to play an exercise twice or something like that and the pins are better than paper clips,,you can label them with a marker. I am learning that I have to relearn the alphabet. I call out the notes while running scales and coming back down a scale,,I can't remember the next letter. Age I guess. Whoever is shipping the bows won't be able to stay in business if they keep that up. 3 bows because they arrive broken. OMG, is all I have to say about that. Even new strings can be bad,,,new lesson for the day. My new e and a strings sound really good, full of life. The d string is dead. I hit the note but it sounds terrible. This was a new pack of cecillio strings which costs about $3. I do not expect this even from a cheap set of strings, so it is a great lesson to learn never to buy a cecillio product again. I made it to the end of book one today. I will spend of week going back over all of it before opening book two.